The Energy Storage Association (ESA) is pleased to announce NEC Energy Solutions and Arizona Public Service (APS) as the conference and utility hosts, respectively, of the ESA’s Annual Energy Storage Conference & Expo on April 16-18 at the Phoenix Convention Center in Phoenix, Arizona. ESA is the leading national voice for companies that develop, integrate and deploy the energy storage technologies we rely on every day. To register or learn more about the ESA Annual Energy Storage Conference & Expo, visit our website at esacon.energystorage-events.org/. The Energy Storage Association (energystorage.org) is the national trade association dedicated to energy storage, working toward a more resilient, efficient, sustainable and affordable electricity grid as is uniquely enabled by energy storage. 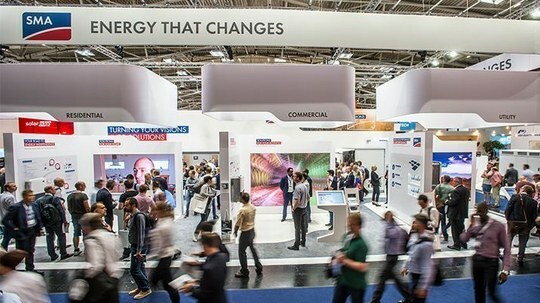 With more than 170 members, ESA represents a diverse group of companies, including independent power producers, electric utilities, energy service companies, financiers, insurers, law firms, installers, manufacturers, component suppliers and integrators involved in deploying energy storage systems around the globe. This report analyzes and forecasts the market for automotive roof system at the global and regional level.The market has been forecast based on value (US$ Mn) and volume (million units) from 2018 to 2026. The study includes drivers and restraints of the global automotive roof system market.It also covers the impact of these drivers and restraints on the demand for automotive roof system during the forecast period. The report also highlights opportunities in the automotive roof system market at the global and regional level. The report comprises a detailed price trend analysis, government regulatory scenarios, value chain analysis, which provides a comprehensive view of the global automotive roof system market.The Porter's Five Forces model for the automotive roof system market has also been included to help understand the competitive landscape in the market. The study provides a decisive view of the global automotive roof system market, by segmenting it in terms of material, type, passenger vehicle type, sales channel, and region.These segments have been analyzed based on present and future trends. Regional segmentation includes the current and forecast demand for automotive roof system in North America, Europe, Asia Pacific, Latin America, and Middle East & Africa. The report also covers demand for individual type segments in all the regions. The report provides the estimated market size of automotive roof system for 2017 and forecast for the next nine years.The global market size of automotive roof system has been provided in terms of revenue and volume. Market numbers have been estimated based on key type, material, passenger vehicle type, sales channel, and regional segments of the automotive roof system market. Market size and forecast for each major type and vehicle have been provided in terms of global and regional/country markets. We reviewed key players' product literature, revenue share for particular business segment, annual reports, press releases, and relevant documents for competitive analysis and market understanding.Secondary research also includes a search of recent trade, technical writing, internet sources, and statistical data from government websites, trade associations, and agencies. Secondary research sources that are typically referred to include, but are not limited to, company websites, annual reports, financial reports, broker reports, investor presentations, and SEC filings, internal and external proprietary databases, and relevant patent and regulatory databases, national government documents, statistical databases, and market reports, news articles, press releases, and webcasts specific to companies operating in the market, National government documents, statistical databases, and market reports, American Automobile Association, European Automobile Manufacturers Association, Automotive Research Association of India, Organization International des Constructeurs d 'Automobile (OICA), Factiva, etc.